Between the mild, mainly sunny climate and the close proximity to the scenic Front Range Rocky Mountain landscape, Colorado Springs is an outdoor enthusiast’s paradise. There are over 350 miles of scenic trails throughout the city, ranging from short and easy to very challenging. It’s no wonder that tourists come from around the world, starting around the time of the Air Force Academy graduation in early May. I had the privilege of spending the majority of my life growing up in Colorado Springs. I credit my love for the outdoors to the many and varied opportunities available in the area to explore Mother Nature. 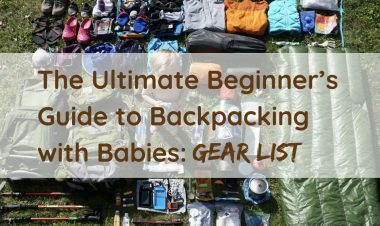 Now that I have children, I am able to explore my once favorite places through the eyes of my adventurous boys. It has changed my perspective a bit, and through them, I’ve discovered even more hidden gems in my hometown! 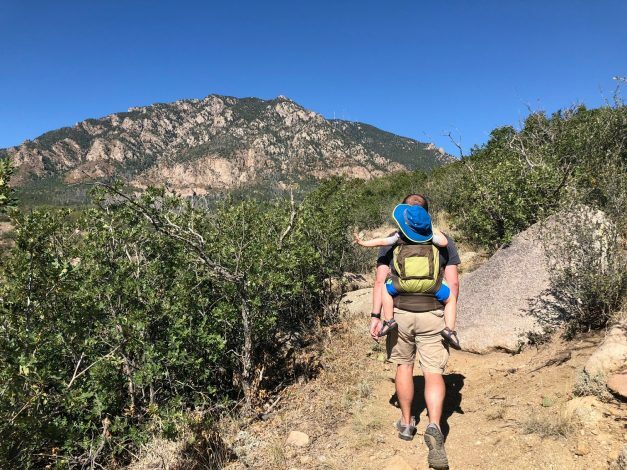 Here are some tips for visiting the area and my top 15 family-friendly outdoor experiences in Colorado Springs (in no particular order). You can fly straight into the Colorado Springs Airport or the Denver International Airport, which is about an hour north. It’s typically more cost-effective (especially when traveling with the whole family) to fly into Denver due to lower plane ticket prices and better deals on rental cars should you need one. Due to the high elevation (over 6,000 feet above sea level), it’s important to take precautions to avoid altitude sickness. These include drinking plenty of water, avoiding strenuous exercise during the first 24 hours, limiting alcohol intake, getting plenty of rest and always traveling with a companion. The symptoms of altitude sickness include headaches, vomiting, dizziness and fatigue. Be sure to pack sun protection like a hat, sunscreen and sun-protective clothing. Between the high elevation and the lack of canopy cover on many trails, exposure to harmful UV rays is higher regardless of the season. Check out this article on how to check the UV index and how to take the proper precautions to prevent sun damage. The weather can be unpredictable. You may see bright, sunny skies and 50-degree weather one day and a chilly, snowy forecast the next day. Be sure to pack layers and check the weather frequently up until the day you leave for your trip for any last-minute changes in forecast. If you want to avoid the crowds, consider planning your visit for a non-peak season, such as the late fall, winter or mid-spring (avoiding spring break times). Arriving right when trails and attractions open or visiting on a weekday instead of a weekend are other great ways to avoid full parking lots and large crowds. Have you ever wondered what the view would be like from 14,000 feet above sea level? How about if you could drive there? Pikes Peak, the summit of which inspired Katherine Lee Bates to write the iconic song “America the Beautiful,” allows you to do just that. 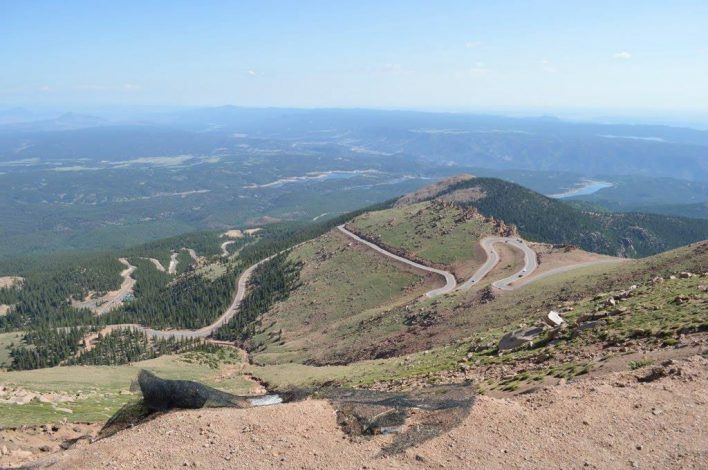 The Pikes Peak Highway allows visitors to drive the 20 miles up the mountain to the summit with various stops along the way for hiking, fishing, eating or just to take in the scenery and give your vehicle a break. The North Slope Recreation Area, located at around mile marker 6, offers hiking trails for all abilities starting at just 0.2 miles. Bus tours are also available, and the Cog Railway is set to reopen in 2021 for a truly once-in-a-lifetime experience. Please note: Due to the altitude and lack of oxygen, the drive is not recommended for children under 6 months of age or visitors with a history of cardiac or respiratory problems! The majority of this absolutely gorgeous military installation is open to visitors. 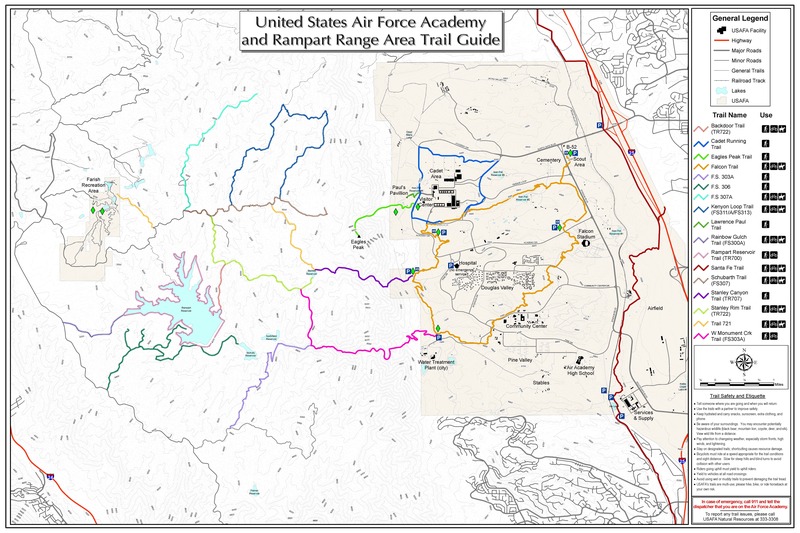 The United States Air Force Academy has various hiking trails ranging from easy to strenuous, which are open from 9 a.m. to 5 p.m. for non-military visitors. 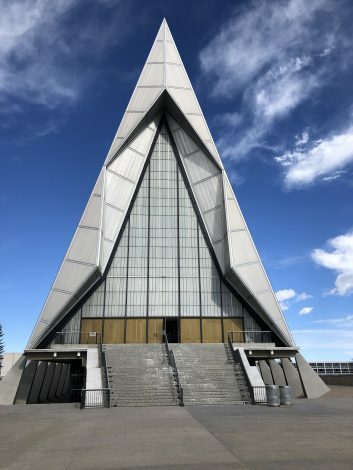 A favorite, short hike (less than a mile roundtrip) follows a paved route between the Visitor’s Center and the Cadet chapel (a must-see spectacular structure on the installation!). The Honor Court can also be viewed near the chapel, which contains bronze statues and aircraft memorials from various groups. 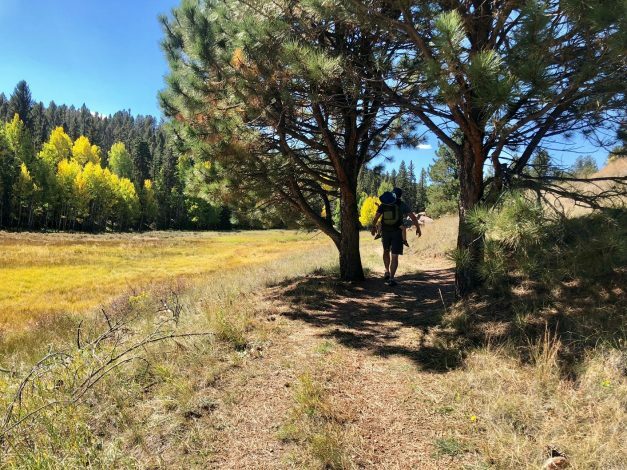 A personal favorite trail is the more strenuous 4-mile (roundtrip) hike up the Stanley Canyon Trail to the Stanley Canyon Reservoir, which is the perfect spot for a family picnic amongst the wildflowers. Check out the trail map here or pick up a copy at the Visitor’s Center. Depending on the season, visitors can attend various sports practices and games, including football, track and field, baseball, basketball and hockey. Located in the heart of Colorado Springs, Garden of the Gods is a registered National Natural Landmark and boasts 15 miles of hiking trails ranging from easy to strenuous. The kids will love exploring the unique rock formations and plentiful wildlife in this park, and there are stroller- and wheelchair-accessible trails (such as the Perkins Central Garden Trail) for the whole family to enjoy. 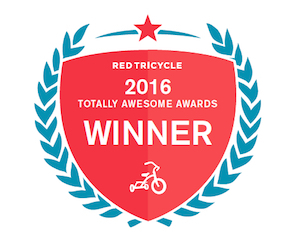 One of our favorite routes is the toddler-friendly Siamese Twins Loop. Be sure to download or pick up a map from the visitors center ahead of time to plan your hiking route! In addition to hiking, this park offers jeep and trolley tours, a popular junior ranger program, bike tours, plentiful rock climbing and bouldering opportunities, and a visitor and nature center with interactive exhibits. If you are visiting during the very busy summer months, try to get there as early as possible or opt for a weekday in order to avoid parking issues within the park. Looking for an outdoor history lesson with fun for the whole family? The Rock Ledge Ranch, located directly next to Garden of the Gods, is a living history farm and museum that depicts life in the Pikes Peak region in four time periods: American Indian area in 1775; 1860s Galloway Homestead; 1880s Chambers Home and Ranch; and 1907 Edwardian Country Estate. Museum guides wearing period-appropriate attire explain and demonstrate how people from these different time periods lived in the Colorado Springs area, including what they wore, what they ate, how they cooked their meals, what they did for entertainment and how they made their living. There is also a working blacksmith shop, horse stables, chicken coop and more to explore. There are also various events throughout the year, including art festivals, vintage baseball games (my personal favorite! ), Earth Day celebrations, and so many more. Check out the events page to plan your visit. Cave of the Winds is a unique park that offers both below-ground tours in their extensive, natural cave formations along with above-ground attractions for the whole family. Their most popular tour, the Discovery tour, takes visitors on a 45- to 60-minute guided walking tour, which includes 15 rooms, a 1/2-mile of concrete walkways and 196 stairs while a guide discusses the history and geology of the cave. They offer free admission for children ages 0-5, though it is important to note that back carriers and strollers are not allowed in the caves. Above-ground attractions include an obstacle course, climbing walls, panning for gemstones and a nature center. 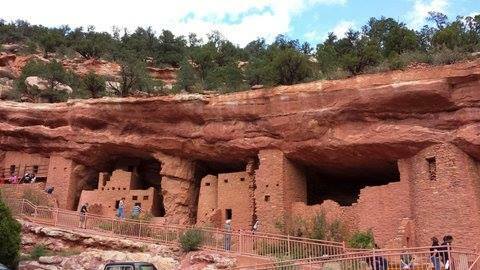 Take a step back in time and explore these authentic Anasazi ruins that date back 800 to 1,000 years. Manitou Cliff Dwellings is a 40-room site that was originally located in McElmo Canyon and was relocated and preserved in Manitou Springs between 1904 and 1907. Visitors can explore the fascinating architecture of the ancient Anasazi and browse through two museums featuring cultural displays and Native American-made pottery, jewelry and artifacts. Due to the narrow entryways, steps and slope of the dwellings, wheelchairs and strollers are not permitted. Red Rock Canyon Open Space is an outdoor recreation area that is sure to wow hikers and bikers of all ages with its gorgeous red rock canyons and ridges sculpted by erosion of the area’s uplifted rock strata. 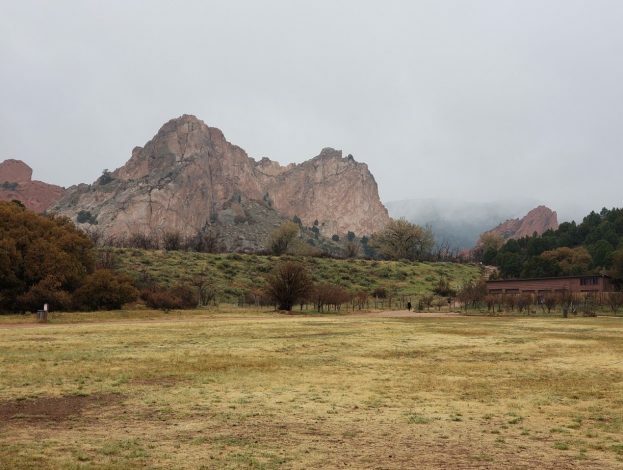 Located a short distance from Garden of the Gods, Downtown Colorado Springs and Manitou Springs, this open space is ideal for a morning hike before exploring the surrounding areas. There are numerous connecting trails ranging from easy (wheelchair-accessible) to difficult, so be sure to download a trail map before you go. Check out this loop, which is perfect for all-terrain strollers and ends with a small lake and open-air pavilion for kids to enjoy. Seven Falls is a unique natural attraction that provides an upclose view of a series of seven cascading waterfalls along with an abundance of wildlife. Once inside the park, you will walk (or take a tram) 0.8 miles to the base of the falls. From there, you can take a 224-step staircase up the side of the falls to get the best view of the water and wildlife in the area. There is also an elevator that allows visitors to bypass 185 of the stairs to the Eagle’s Nest observation platform. Once at the top of the falls, there are two gorgeous hiking trails: the one-mile (roundtrip) Inspiration Point Trail leads to a spectacular view of the Great Plains and the city of Colorado Springs, and the half-mile (roundtrip) Midnight Falls trail leads to the small, yet sparkling Midnight Falls (check out the trail map here. These moderate-to-difficult trails are open from May to October until 7 p.m. and are not stroller-friendly. This attraction can get very busy in the summer months, so be sure to arrive early in the day to avoid crowds! There are over 28 miles of hiking trails of varying distances and elevation gain through Cheyenne Mountain State Park. Download a trail map which lists the trail difficulty, along with elevation gain so you can plan a route that meets the needs of your family. 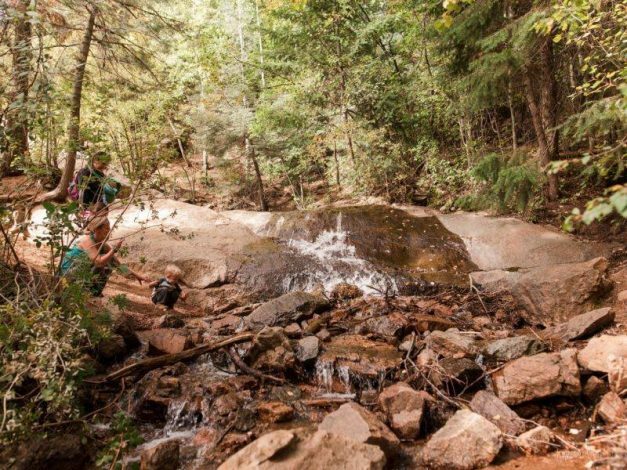 One of our favorites is the Zook Loop, which is jogging-stroller-friendly and includes a playground at the trailhead and a rock garden at the midpoint. Be sure to check out the visitor center for more information on their multitude of activities, including a junior ranger program, archery, geocaching, horseback riding and more! The North Cheyenne Canyon Park has an extensive trail system that contains seven different trailheads that branch off to numerous trails, two visitors’ centers (Starsmore Visitor and Nature Center and Helen Hunt Falls Visitor Center) and four large picnic areas. 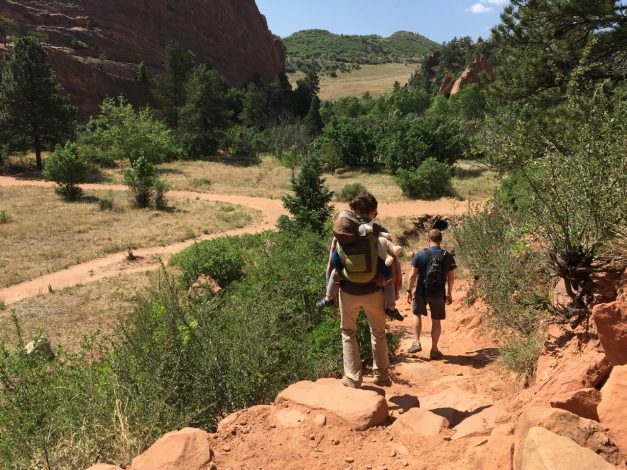 One of our favorite trails, which we discovered in the Hike it Baby book “100 Awesome Outdoor Adventures with Babies and Toddlers,” written by Hike it Baby founder Shanti Hodges, is the Columbine Trail. It’s an out-and-back trail that can be as long as 8 miles total or broken into smaller segments to meet the needs of your family. 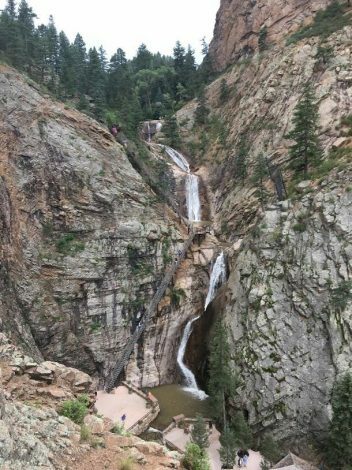 You can also find short, toddler-friendly hike options throughout the park, such as the hike to the gorgeous Helen Hunt Falls. 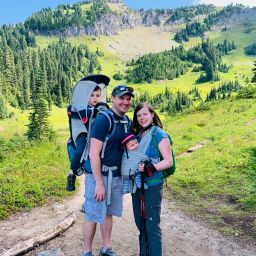 You will definitely want to download a trail map and hike description sheet before heading out, and bring plenty of water in case your adventure takes you longer than expected! 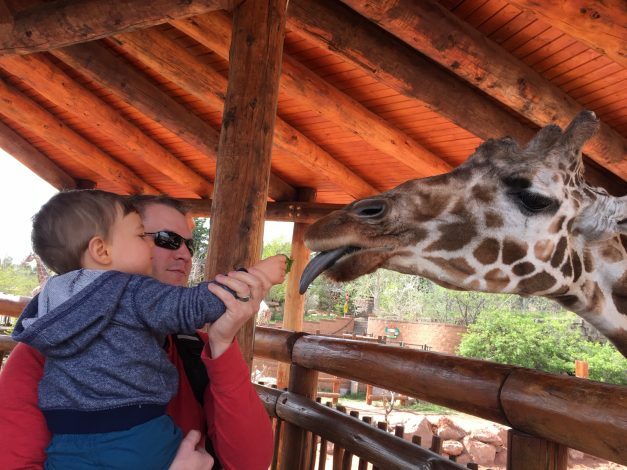 It’s hard to pass up a visit to Cheyenne Mountain Zoo, which happens to be the 4th best zoo in America (as named by USA Today). It also happens to be America’s only mountain zoo! The zoo allows kids of all ages to hand-feed giraffes and birds, ride a historic carousel, take a chair-lift-style sky ride above the zoo, discover and learn about over 30 species of endangered animals, and so much more. Admission to the zoo also includes a visit to the Will Rogers Shrine of the Sun, which is located further up a scenic highway and provides spectacular views of Colorado Springs and the Pikes Peak Region. If you are visiting the area around the holidays, be sure to check out their Boo at the Zoo event in October and their Electric Safari show in December! 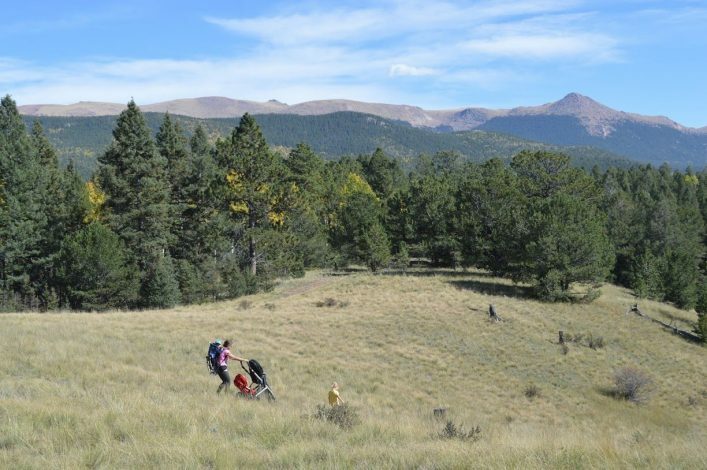 Mueller State Park offers year-round recreation opportunities for the whole family, from hiking and fishing to sledding and snowshoeing. The park boasts 5,000+ acres of spring-fed meadows, ponds, forested ridges and massive rocks of Pikes Peak Granite. The over 44 miles of hiking trails range from leisurely wheelchair-accessible walks to challenging, full-day hikes. A family favorite is the 0.5-mile Dragonfly Children’s Nature Trail, which includes interactive stations that let visitors explore the wonders of pond life on a flat, stroller-friendly trail. They also offer guided hikes, educational programs, year-round camping, geocaching and much more. Be sure to download a trail map before you visit. Florissant Fossil Beds National Monument boasts one of the richest and most diverse fossil deposits in the world, including petrified redwood stumps and thousands of detailed fossils of insects and plants. With over 14 miles of hiking trails starting at just 0.5 miles, there is a little something for hikers of all levels. A favorite for us is the 1-mile Petrified Forest Loop, which passes numerous giant petrified redwood tree stumps. 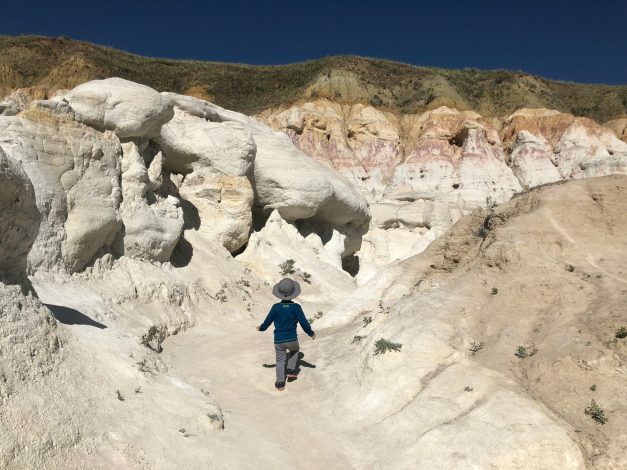 They also offer a Junior Ranger Program with activities for children as young as 4 years old, along with numerous hands-on exhibits and fossil displays at the visitor’s center. Paint Mines Interpretive Park is listed as an Archaeological District in the National Register of Historic Places and is located less than 40 miles east of Colorado Springs. Studies indicate that people have inhabited the paint mines for nearly 9,000 years. And throughout the history of the park, people have visited the area to gather the colorful, natural clays in hues of red, orange, yellow, purple and gray to produce ceramics. Kids will love exploring the colorful rock formations, though some areas are off limits to climbing due to erosion. There are over four miles of hiking trails within the park, including an extensive field of windmills. 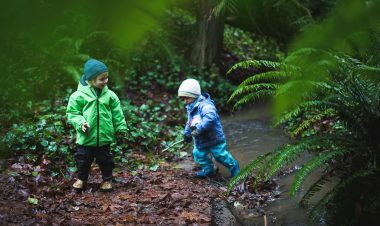 A good toddler-friendly option takes you through 2.5 miles of the park to explore the rocks and avoid some of the more hilly sections. This trail is very exposed and can get windy, so be sure to remember the sunscreen and hats! 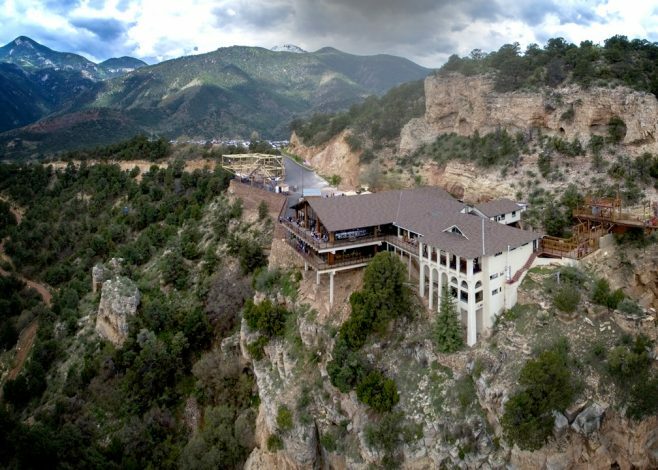 Just an hour outside of Colorado Springs, the Royal Gorge is well worth the drive for a full day of outdoor family fun and spectacular views! The main attraction is the tallest suspension bridge in the United States. It runs across the Gorge for nearly a quarter mile. Visitors can choose to walk across the bridge or take the gondola across. The park also includes a visitors center, a 3-story playland for children, complete with a carousel and splash pad (weather-permitting) and a water clock. In addition, there are two rides (a zipline across the gorge and a skycoaster) for the more adventurous visitors. 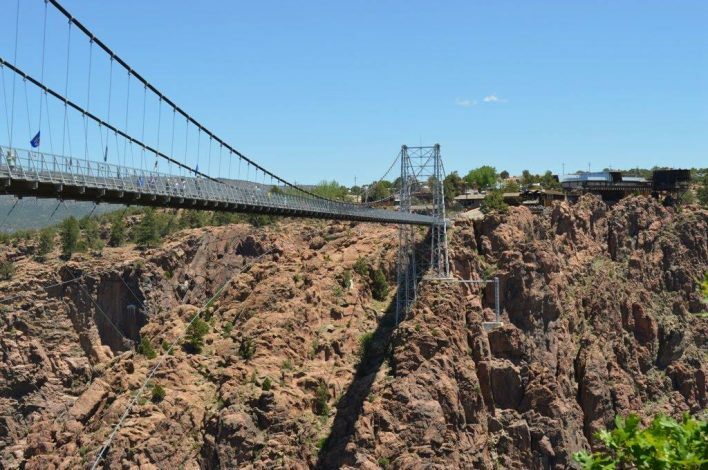 Close to the park, you can find trails of varying lengths, along with other attractions such as the Royal Gorge Railroad train rides and various white water rafting options in the area. You could spend multiple days exploring this area alone! Have you visited Colorado Springs? If so, what are some of your favorite family-friendly outdoor adventures in the area? Let us know in the comments below! 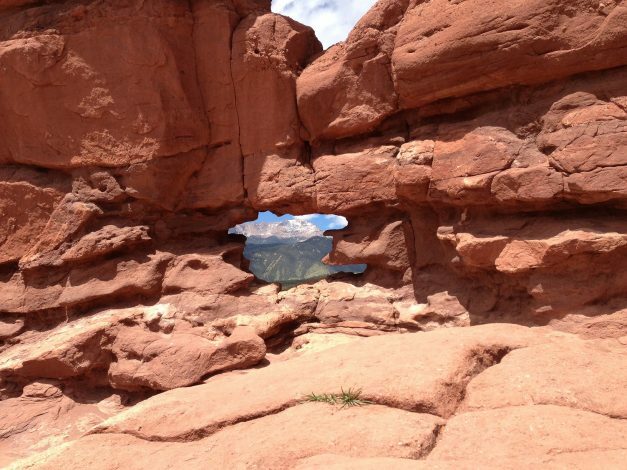 Trail Tips Colorado Springs with kids, hiking itineraries with kids, Hiking with Kids, Itineraries Across America. permalink.